On 25th of January, 2018, the United States Equal Employment Opportunity Commission (EEOC) brought out the statistics regarding workplace discrimination charges that were filed in the year 2017. The number of complaints stood at a staggering 84,254 and the compensation or settlement amount paid by businesses stood at a staggering $398 million. In the US, Federal Laws are in place just like in any other developed country, to protect the rights of its workforce. This is has actually led to a robust discussion within the industry on whether there is a need for checks and balances within the framework of such laws so that both parties can have a fair hearing. However, matters are firmly up for debate, and the jury as such is far from out. The large corporations safeguard themselves from employee lawsuits by employing a robust in-house legal setup. For small and medium businesses that is not always possible, since legal aid does not come cheap. And according to a report published by Georgia Employers Association citing statistics by CNA Insurance, “….75% of all litigation against corporations today involve employment disputes. Over 40% of these lawsuits are filed against smaller employers (15 – 100 employees).” The report further states that …”employment disputes represent nearly 25% of all litigation in federal courts, and a higher percentage in most state courts” . In such a scenario, Employment Practices Liability Insurance (EPLI) has assumed significance. We often come across articles exhorting the importance of EPLI across various mediums. What those articles leave unsaid, however, is the cost associated with EPLI. Labor laws are such that most business owners need to be careful so that they do not trip up. Talking to the Virtual Employee team when they visited him at his office in the US, Spencer Freeman of Freeman and Son Fire and Restoration Services shared his harrowing experience where an unhappy ex-employee had sued him and for which Spencer had had to cough up a significant amount to settle matters. He stated that while he was running an honest business, a litigious society like that of California left small businessmen like him particularly vulnerable. Since his work kept him mostly in the field, he found it difficult to keep abreast of and absorb the nuances of the several regulations that applied to him and his employees. And since these regulations were also prone to change, he found himself on the wrong end of a lawsuit (which he ultimately won after paying exorbitant legal fees). That’s when Spencer decided to outsource his non-essential services to Virtual Employee’s India offices. 67% of employment cases result in a judgment for the plaintiff when taken to litigation. The average defense cost for an employment related lawsuit (through trial) is $45,000. How many are brave enough to actually take a risk like that? On the other hand, the report also states that “the average cost of an out-of-court settlement for employment related cases is $40,000”. In such a scenario, it isn’t surprising to see businessmen like Spencer cut risks and chose offshore staffing over local hiring. It sure sounds like a safer and more prudent option when viewed from his perspective. Are employee lawsuits alone a good enough reason to outsource? Outsourcing is simply a means to the end. It’s also perhaps the simplest one available. One can locally outsource, too, and not have to worry about employee lawsuits. However, that might prove to be expensive in the long run. After all, the cost factor will always have primacy in business. Businesses also outsource to access a bigger and more experienced talent pool. All these reasons combined does make offshore outsourcing an attractive option. It’s basically like a service one can avail and which need not even be a permanent fixture of a business. 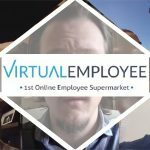 Offshore staffing organizations, like Virtual Employee, are quite flexible and offer notice periods between 5 to 30 days depending on the service, for termination of contract. That makes it easy for our clients to use the outsourcing option as stop-gap arrangements too. We have had several clients who have used virtual staff for a temporary period of time and have come back to use our services again when required; kind of like plug and play. This has allowed them a flexibility that probably wouldn’t have been possible through traditional hiring. Whether outsourcing can help your business is something only you can decide. It does have some benefits, and like everything else, there are bound to be certain hiccups too. Whether benefits outweigh the challenges, that’s something one must decide through experience and research- be it personal or borrowed.